The Kids Quilt Round Robin started in May with each of the participating kids creating a 20" x 20" block or a 10" x 40" row and deciding on their theme and/or color scheme. 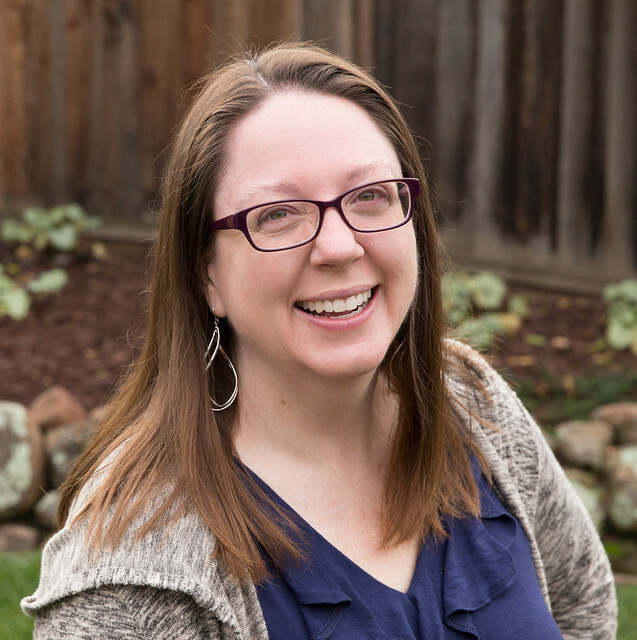 We had 9 kids participate across the US. 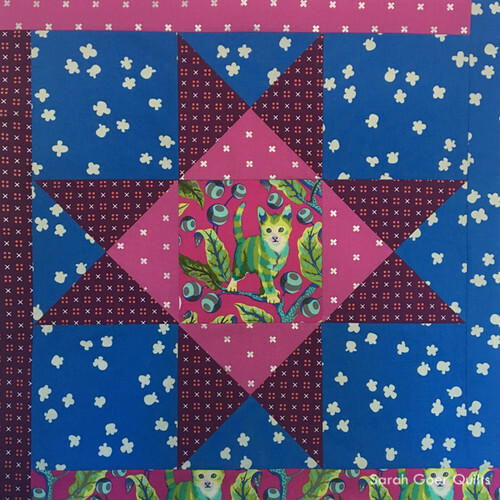 My daughter R (age 5) chose animals as her theme and picked a Tula Pink Disco Kitty print to feature in her block. She wanted to make a star block so we looked online and decided on this 8 pointed star featuring quarter square triangle units. Each of her fabrics was from her stash except for the blue print that she chose from my stash. The following month Z (age 5) chose to make the same star block and featured a butterfly print in the center her star. In July, Norah (age 7) chose a unicorn for her feature print and used snails and rabbits in two of the other prints inner block. The final month, sisters A & C (ages 8 and 6) chose a chipmunk for the center of their block. R is working on a pieced backing using almost every cat fabric from her stash (and some rabbits) to finish her 40" x 40" cuddle quilt. I love how cohesive the quilt looks. My son G (age 7) chose a sports theme for his round robin project and began by making the baseball block. 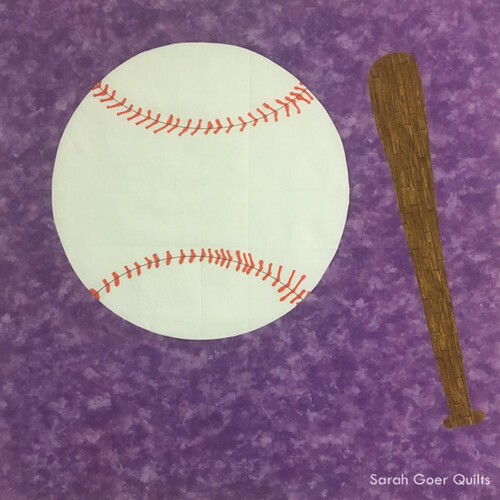 He drew the stitching on the ball with fabric marker, machine pieced the inset circle, and appliquéd the bat. 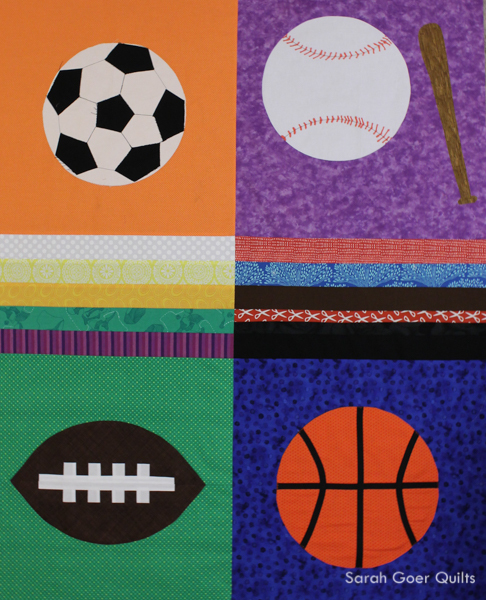 In June, Caitlyn (age 8) made the football block using paper piecing and curved piecing. Then Sophie (age 9) created the appliquéd basketball. The lines on the ball were created with bias tape appliqué. In August, H (age 5) created the final block, an appliquéd soccer ball. G was really excited about the blocks everyone made for him, but since nobody featured aikido, he decided that he wanted to add something to represent that sport. He chose fabrics from my stash to create each of the belt colors for the center section of the quilt. His quilt will finish at 40" x 50". My favorite part of this quilt is the variety of skills used. Thank you to all the kids (and moms) who participated. I'm so proud of the sewing that all the participants did on the blocks for themselves and for each other. Both my kids have a goal of finishing their quilt this month so they can submit them to QuiltCon. I hope some of the others will submit as well. It will be fun to see them in person. You can read more about my kids round robin sewing from May, June, and July. 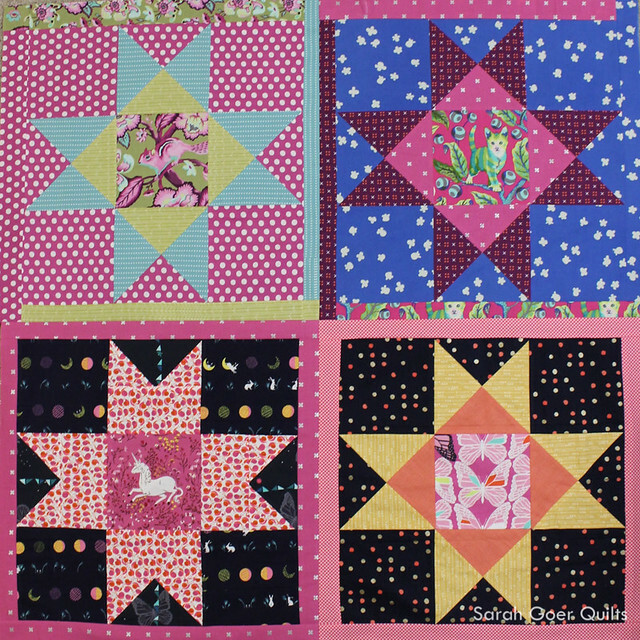 Please hop around to see the other quilts being created from the round robin. A & C's treehouse and outdoor play quilt on Berry Barn Designs and @berrybarndesigns. Norah's flying geese quilt on Swim Bike Quilt and @swimbikequilt. Z's stars quilt on A Stranger View and @astrangerview. Caitlyn's scrappy hearts and stars quilt on Tiffany Baxter Quilts and @tiffanybaxter. Sophie's stars and constellations quilt @thefeltedpear. 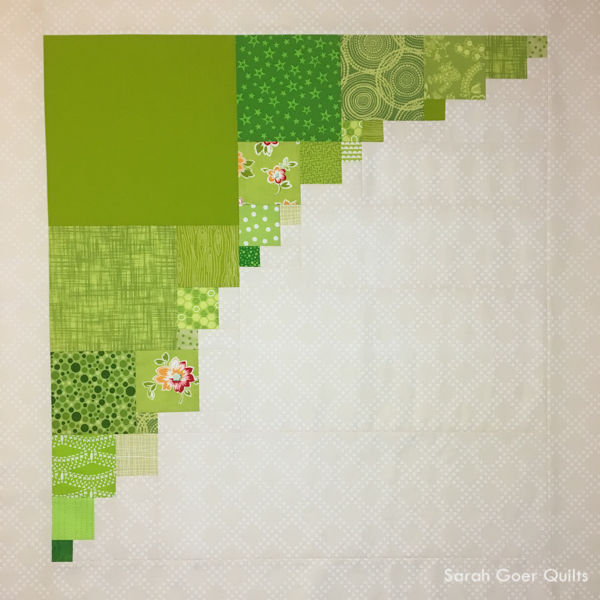 Posted in Quilting on November 3, 2017 by sarah.